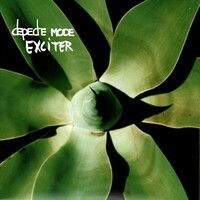 Depeche Mode is a British band that makes electronic music. Synthpop band was formed in 1980 in Basildon (UK). Their hits including People are People, Just Can not Get Enough and Enjoy the Silence. 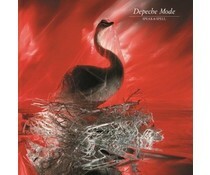 Depeche Mode released their debut record in 1981, Speak & Spell, bringing the band onto the British new wave scene.The band's last albums of the 1980s; Black Celebration and Music for the Masses established them as a dominant force on the mainstream electronic music scene.Depeche Mode released Violator, catapulting them to massive success. 2016 EU issue on 180g 3xLP- released in 2006. A beautiful 180 gram collector with the best work of the band, including the biggest hits such as "Personal Jesus", "Enjoy The Silence", "Master and Servant" and "Just Can not Get Enough". 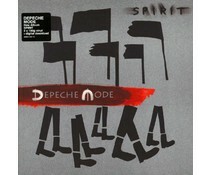 2016 EU reissue on 180g LP-For their 8th album Songs Of Faith And Devotion (1993), Depeche Mode drew influences from the alternative Rock and Grunge scene that was sweeping through the music world in the early '90s.